In the world of crafting, sometimes the simplest concepts are the ones that make you feel the most accomplished. For example, we recently discovered the simple joy of creating beautiful flowers from paper, like we did when we were kids, and now we’re totally enamoured with the idea and can’t stop looking up new and different ways to make more kinds. 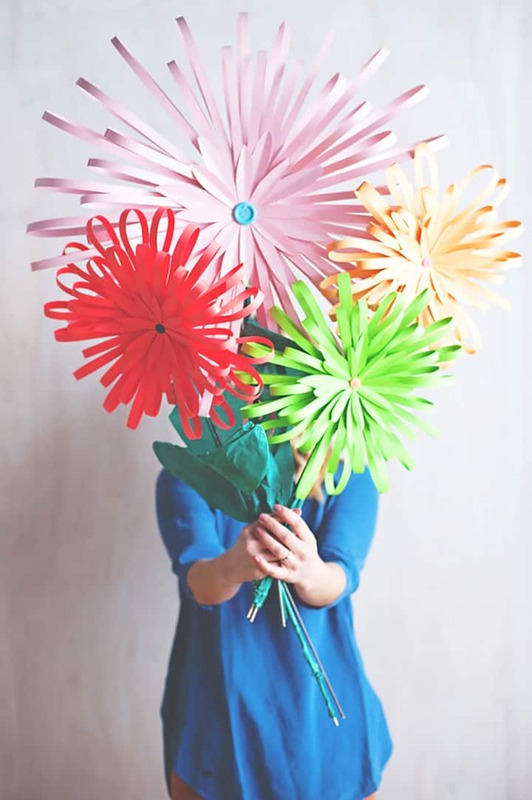 Just in case you love making pretty paper flowers just as much as we do, here are 15 fantastic and creative ideas, designs, and tutorials that we found in our recent search for inspiration! Are you willing to make a flower that’s quite simple in its basic construction so long as you get to give it lots of volume and layers? Then we have a feeling you’ll be very interested indeed in the way Icing Designs created this wonderfully layered folded paper rose! We love the way they tapered the tips of their petals into a point for detail. 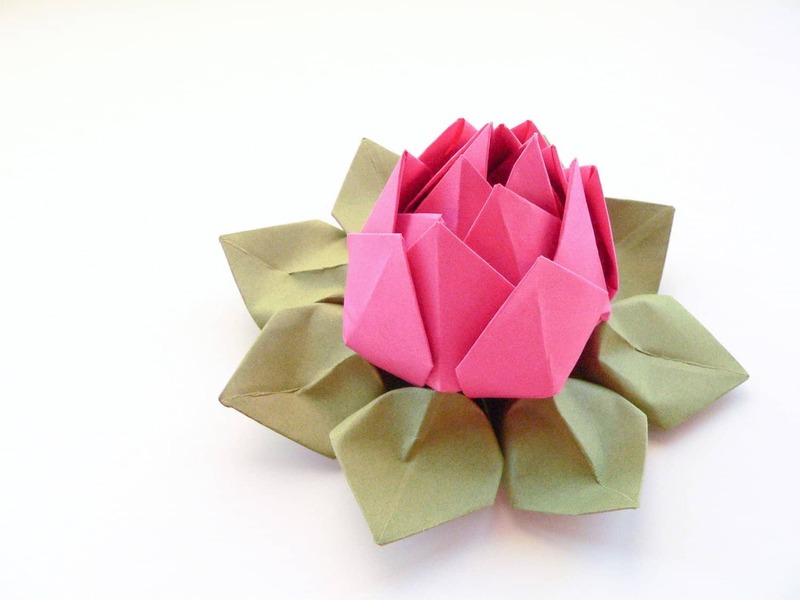 If you’ve actually already got a bit of experience in origami and the idea of working with two colours of paper in the same project doesn’t intimidate you too heavily, then we’d definitely suggest taking a look at how iCreative Ideas made this fantastic lotus flower! This tutorial is simple enough that it makes a great first project for people trying to up their skills and learn to work with more than one piece of paper when they do origami. Origami isn’t the only kind of technique that you can use to create lovely things in paper! We’ve been a little bit obsessed with paper punching techniques as well. Damask Love guides you simply through the process of making all kinds of differently coloured and shaped flowers by punching out the shapes, layering them, and attaching them through the centre. Have you actually already tried folding and layering paper recently and quite enjoyed them but now you’re looking for another technique to keep things interesting? In that case, we’d definitely suggest trying your hand at this simple spiralling technique outlined step by step on Apartment Therapy. Curling and rolling your paper lets you make roses that spiral out from the centre! Were you a big fan of the layering technique but you’re wondering whether there are alternative methods for fastening the paper together rather than just punching through the centre? Then we think you simply must take a look at the way We Lived Happily Ever After used a needle and thread to sew their paper flowers together instead! Maybe you’re less picking about the method by which your flowers are made and you’d rather concentrate more on the style, what the blossoms look like, and the kind of actual flower your project mimics? Well, we can’t say we blame you! 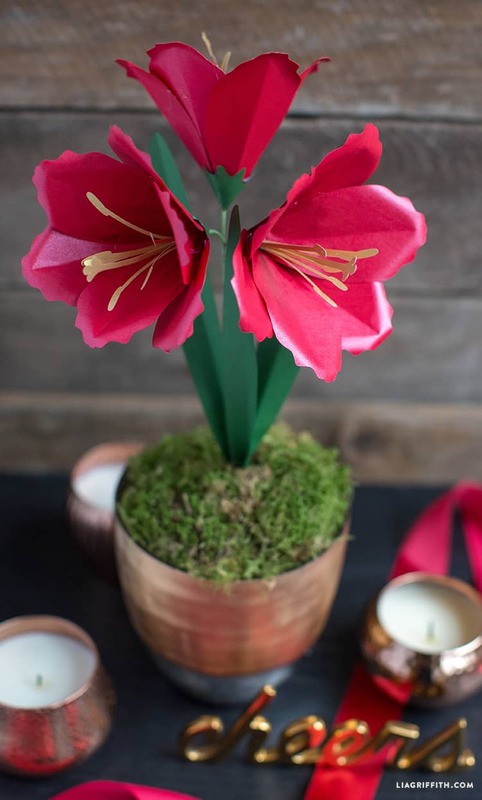 Check out how Lia Griffith made a paper amaryllis flower that’s so realistic once its potted in faux moss that we thought it was an actual plant. 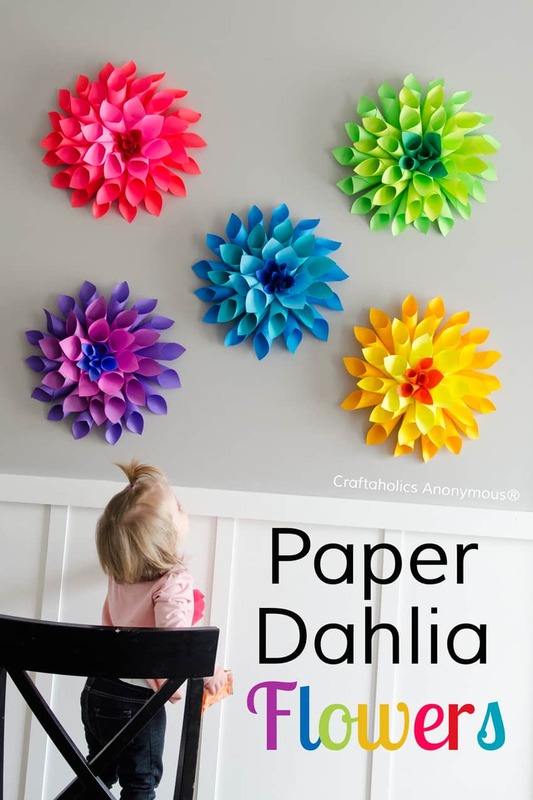 Just in case you’d prefer to make a paper flower that’s a little more kid friendly, here’s an awesome tutorial that will help you do a bit of simple paper curling to make giant dahlia flowers! We love the way Craftaholics Anonymous used subtle shade changes to give each flower a bit of colourful dimension and then hung them all over the wall. Are you actually very intrigued indeed by the beauty of colour changing paper flowers on a wall because you didn’t expect that something made so simply could look like actual decor? 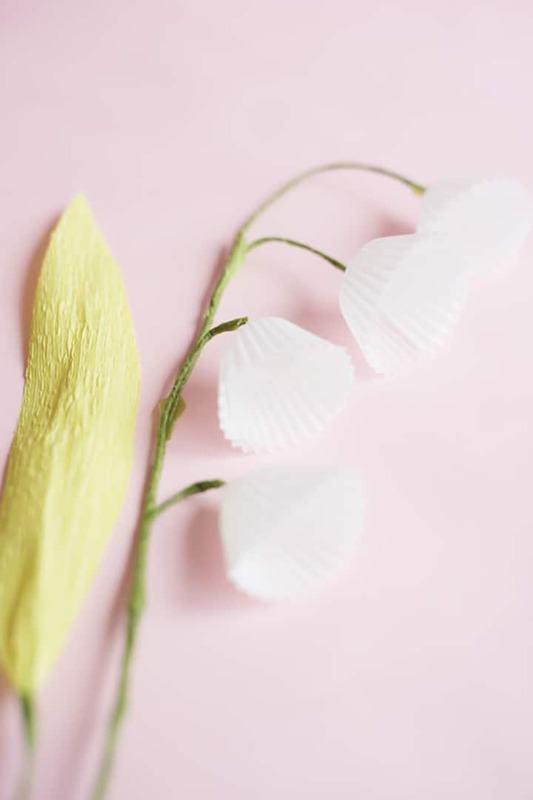 Well, just in case you like the idea but would prefer a slightly less bright or bouncing visual, here’s a lovely colour gradient paper flower piece that Ash and Crafts use as a photo backdrop but that you could easily leave hanging up for some wall decor all the time. 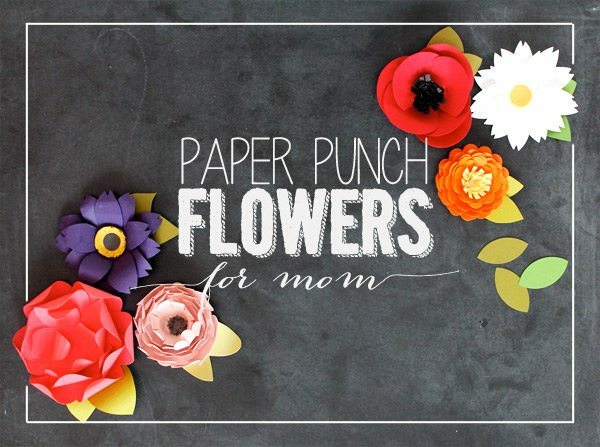 Sometimes half the fun in making a paper flower project is playing with different kinds of paper to see what kinds of shapes and textures will help you make crafts that look like different kinds of flowers! These adorable tissue paper poppies outlined step by step on Why Don’t You Make Me are the perfect example of what we mean! Are you actually kind of enamoured by the ideas we’ve shown you so far that have a bit more of a unique and movable shape and texture to them but you haven’t quite found the one that really catches your full attention? 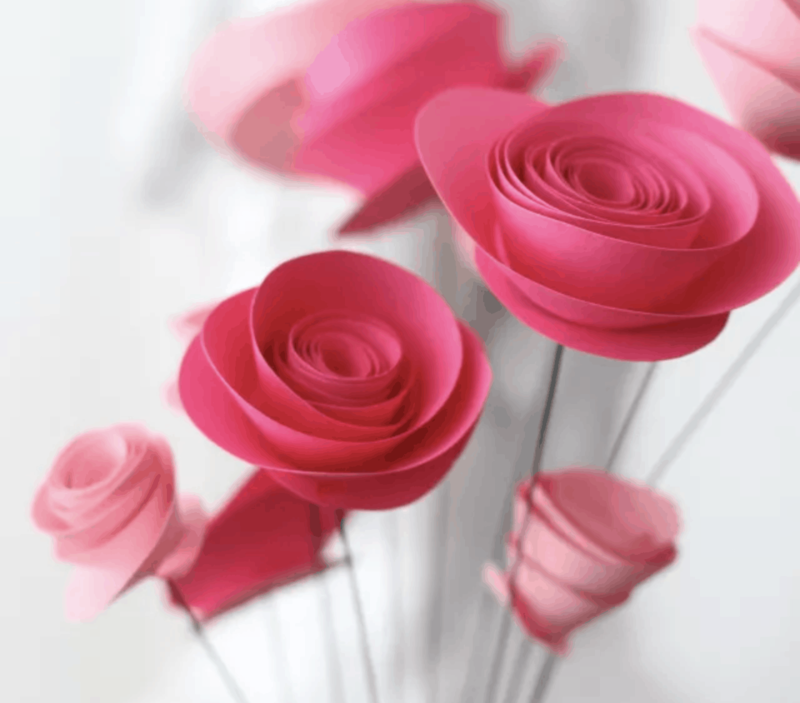 In that case, we think you simply must take a look at the way A Subtle Revelry made these flowers by bending paper strips into petals shaped like loops! 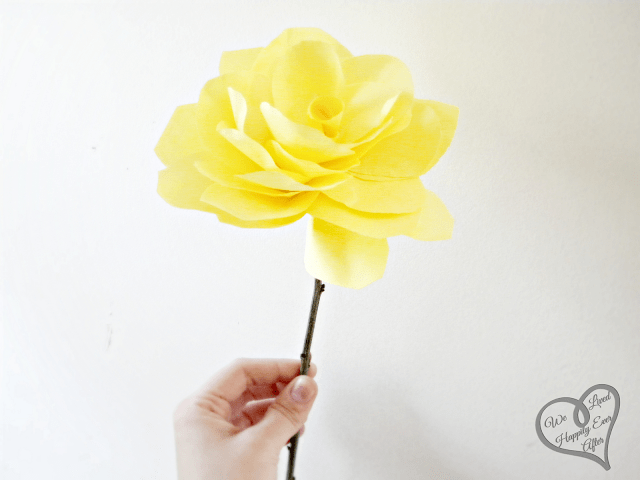 Just in case you were actually hoping for a kind of paper flower that looks so realistic you can hardly tell they’re fake, here’s a wonderful tutorial for working with crepe paper in a way that’s gorgeously realistic! Craftberry Bush walks you step by step through the process of making peonies at all different stages of bloom. 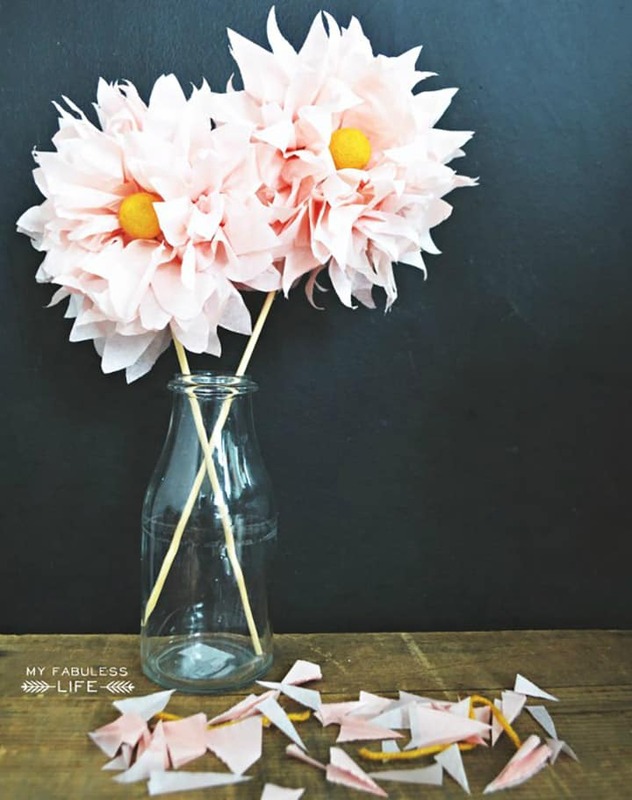 If you’re going to make paper flowers from scratch would you rather get a little more crafty with the kind of paper you used and try upcycling something that you’ve got laying around the house? Then we have a feeling these cupcake liner lilies might be right up your alley! See how they’re done in more detail on Oh Happy Day. 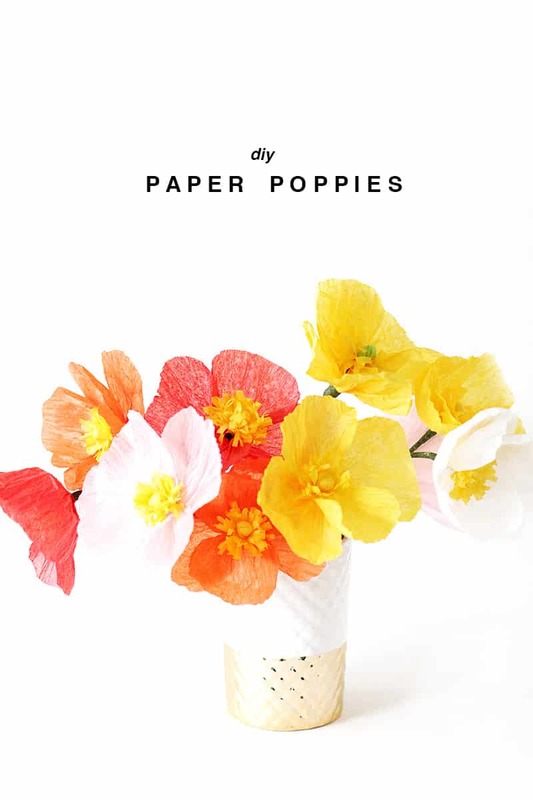 Just in case you were very enamoured with the idea of working with tissue paper but the poppies we showed you weren’t quite voluminous enough for you, here’s another tutorial from My Fabuless Life that teaches you how to create flowers so thick and bouncy you’ll have trouble not being taken aback by their whimsical look. 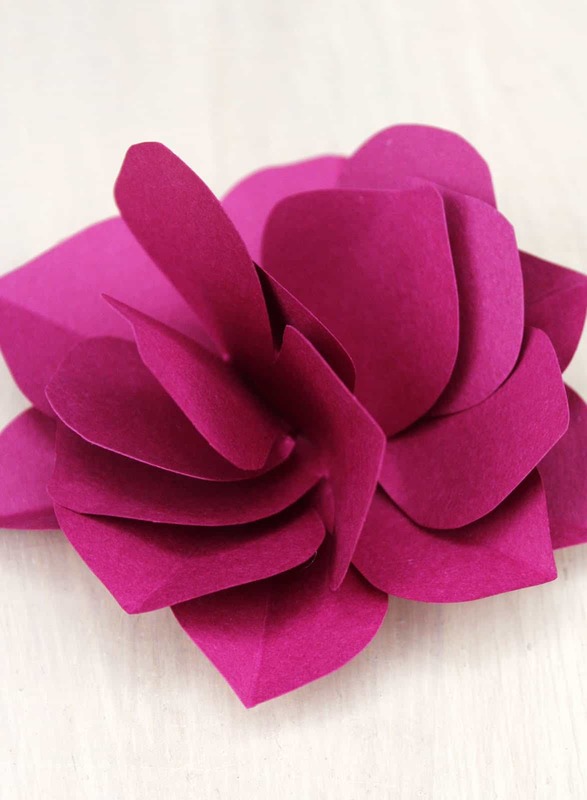 Cupcake liners aren’t the only kind of household paper you can upcycle in order to make paper flowers of all different shapes and sizes! 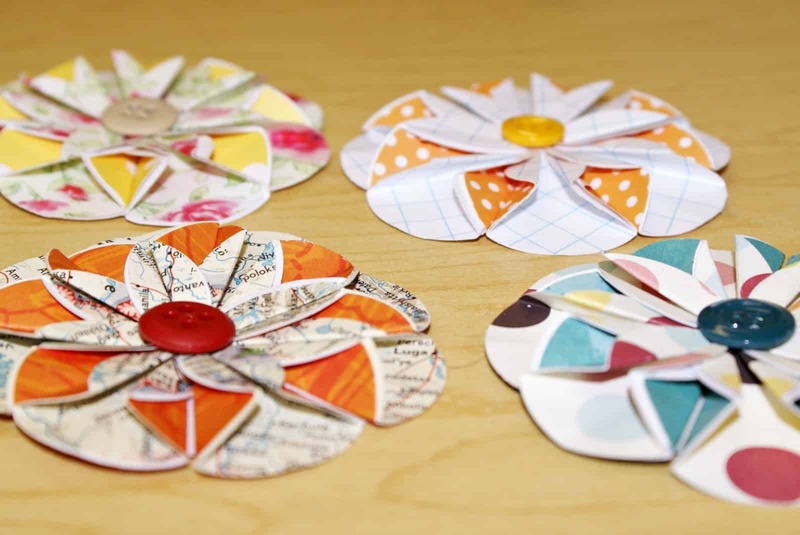 Whimsical World of Laura Bird is here to show you how thy made flat, folded flowers with cute button centres using all kinds of paper scraps, including scrapbooking paper ends, old maps, and leftover wallpaper. We’ve already talked about folding, layering, punching, and rolling paper of different kinds in order to make flowers but, believe it or not, we’re still not done! 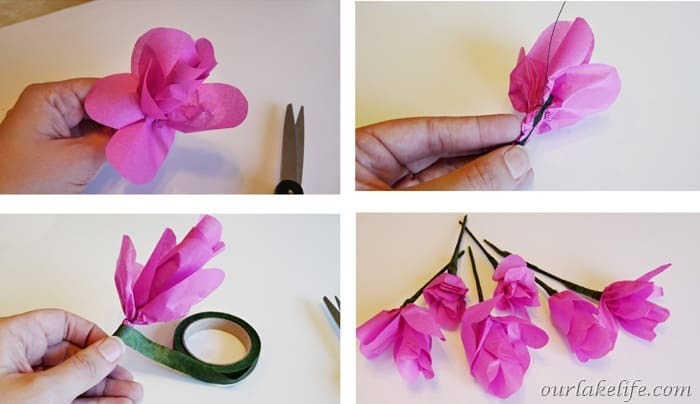 Our Lake Life to show you how you can make adorable little tissue paper blossoms by twisting the paper between your fingers as well. They even show you how to add stems! 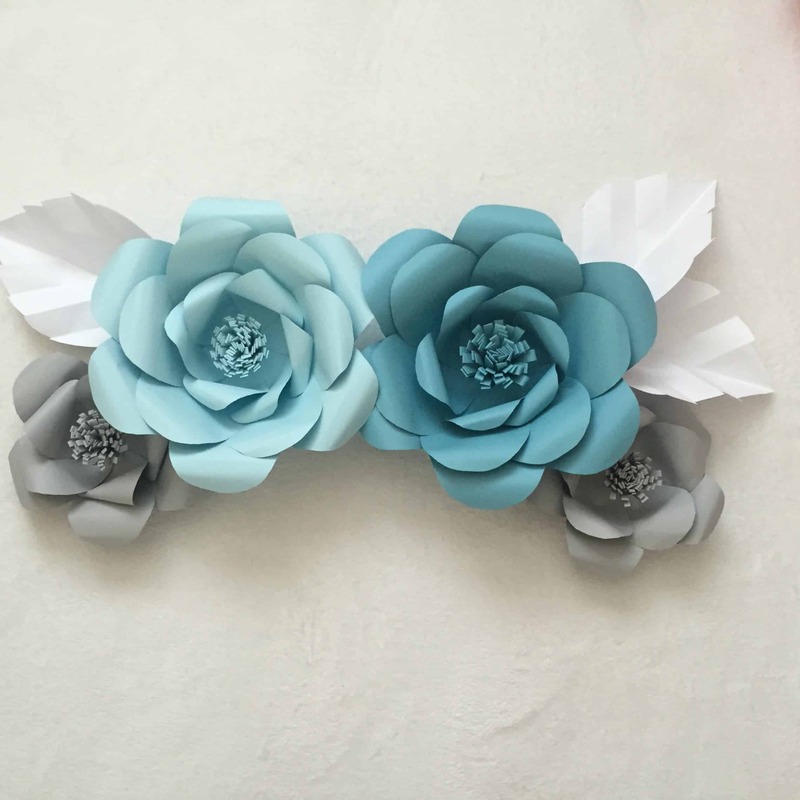 Have you made other kinds of paper flowers before that you loved the look of but that you don’t see here on our list? 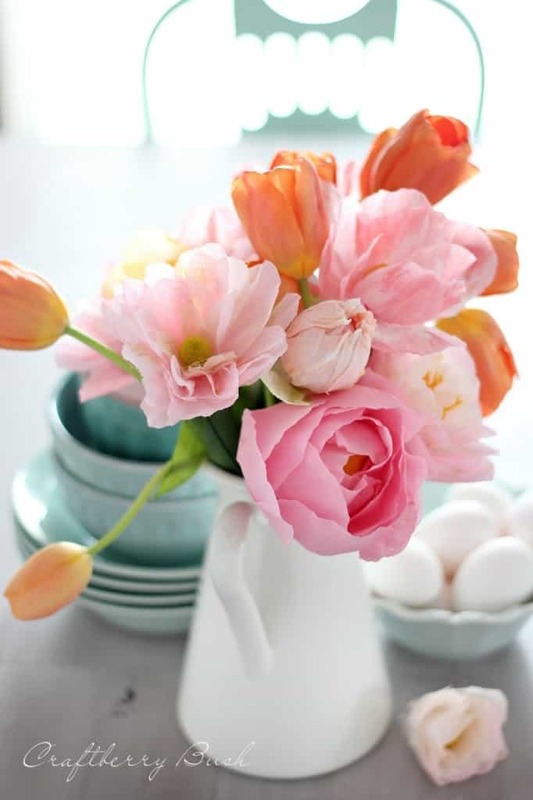 Tell us all about how you made them or link us to photos of your finished flowers in the comments section!